After years of sitting vacant, it looks like Brickstone’s restoration of the iconic Hale Building could move quickly. Knock on wood, of course. The updated designs, which now call for a roof deck for use with the planned creative office space, were given the green light last week from the Historical Commission, according to Deidre DeAscanis, an associate principal with JKRP Architects. Only construction permits are needed for work to begin in earnest. 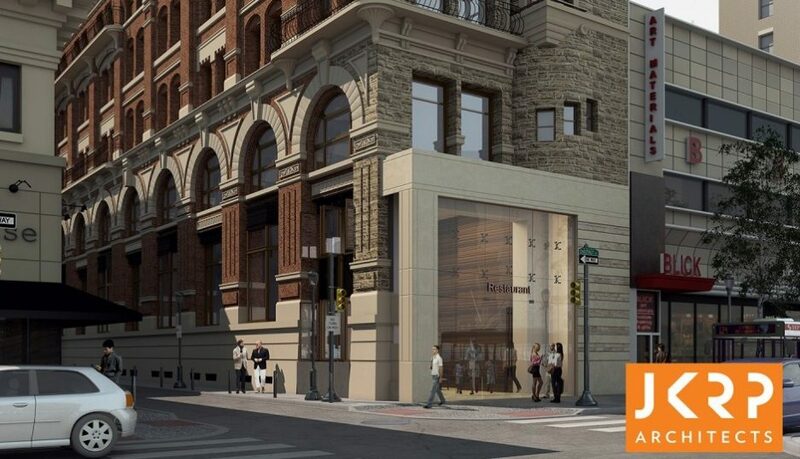 A new addition–a grand two-story restaurant entrance that replaces the garish Valu-Plus facade–will seek to bring some life to the Chestnut Street side of the building. The tight confines of the building made for a tough residential or hotel project, as the hallways would have eaten up a lot of valuable space. The new use allows for the architects to take advantage of almost the entire floor plate. “Office is really the best utilization of that building,” said Broh. 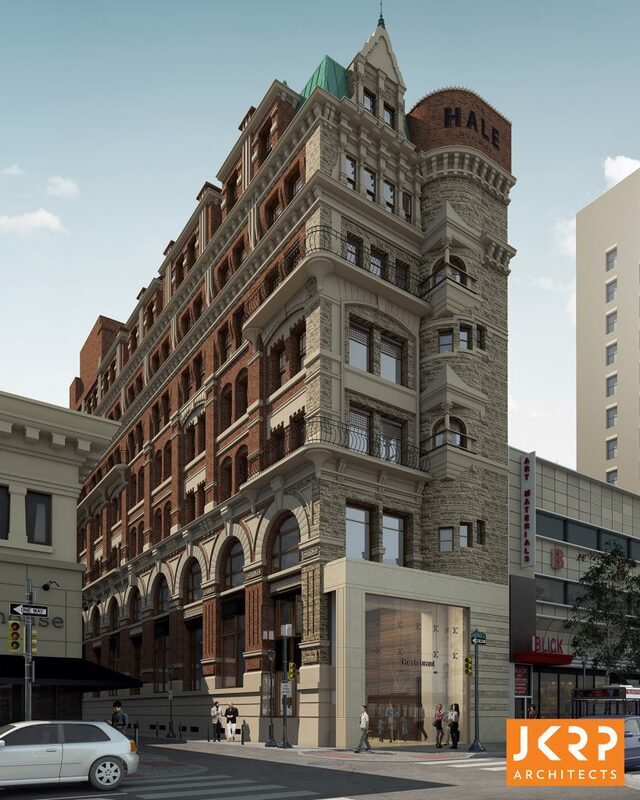 Each floor will have 7,400-square-feet of space (gross). 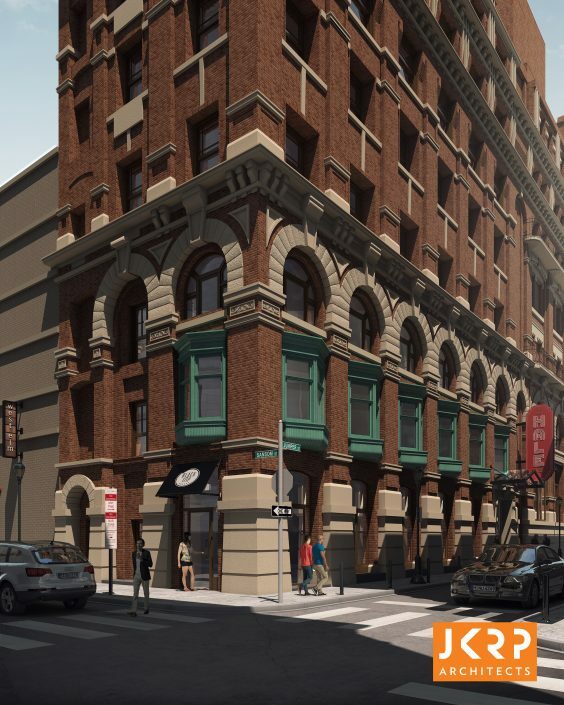 Brickstone Companies purchased the building in September for $4.7 million, and plans include creative office space on floors three through eight and two retail spaces–the aforementioned multi-story restaurant on Chestnut Street and a cafe on Sansom– and a stylish roof deck shared by the office users. Office users will enter on Juniper Street. 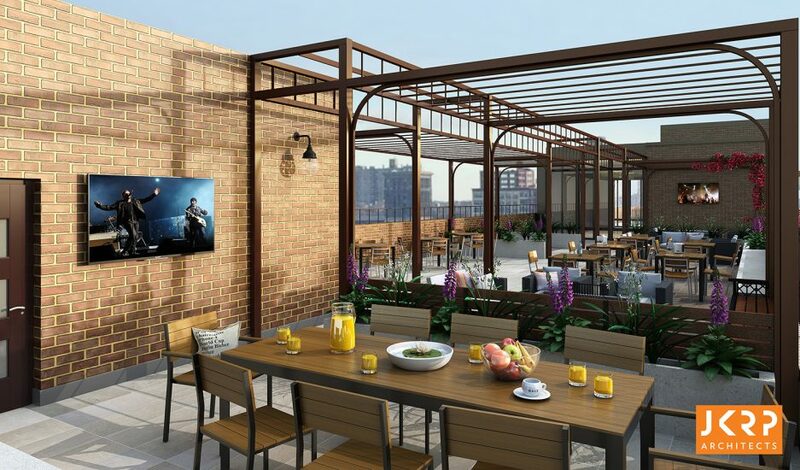 The roof deck will be broken up into multiple spaces, including work areas and places to relax alongside a fire pit or under the shade of a pergola. “They’ve gotten excellent feedback on the roof. Tenants want to know if they can have exclusive rights,” said DeAscanis, who also mentioned the space is intended to be shared, not for one office user. 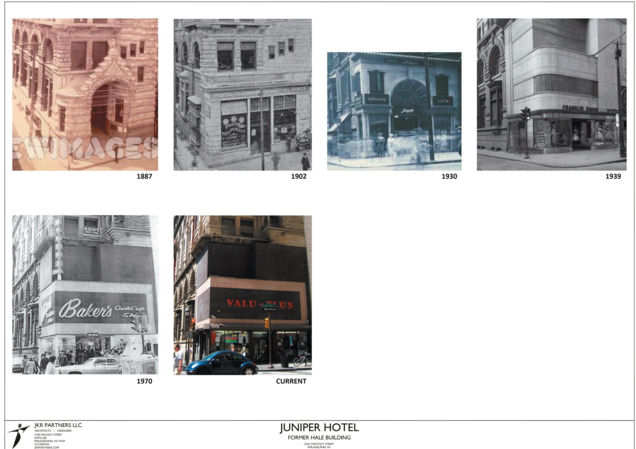 Though it’s not set in stone, Broh mentioned that Brickstone could look to employ a lighting package to the Juniper Street side of the Hale Building, much like they did at the Lit Bros. building at 7th and Market. 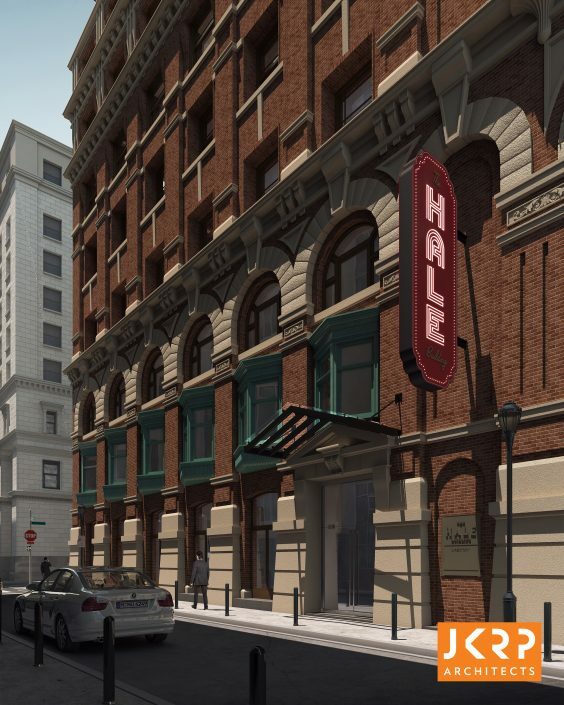 Not only would it showcase Hale’s striking work, but it would light up what has traditionally been a dark alley, largely due to the all-but-abandoned Hale Building. Once permits are secured, DeAscanis said that work could start in four to six week and be completed in nine months.